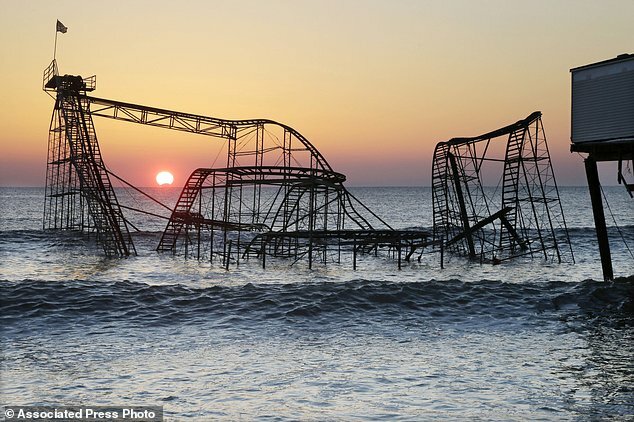 SEASIDE HEIGHTS, N.J. (AP) - Nearly five years after Superstorm Sandy plunged a roller coaster into the sea in what became one of the storm's most enduring images, the ride has been replaced - safely inland this time. 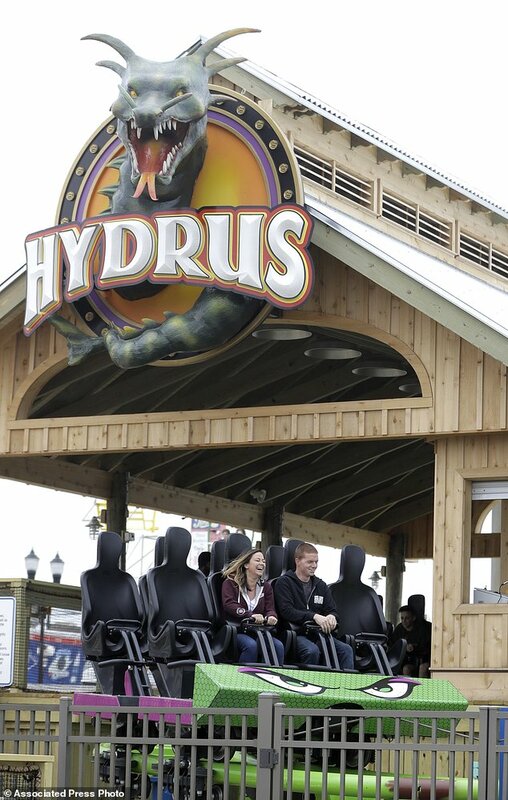 Hydrus opened this month at the Casino Pier amusement park, built above the beach rather than out over the water to prevent another catastrophe. 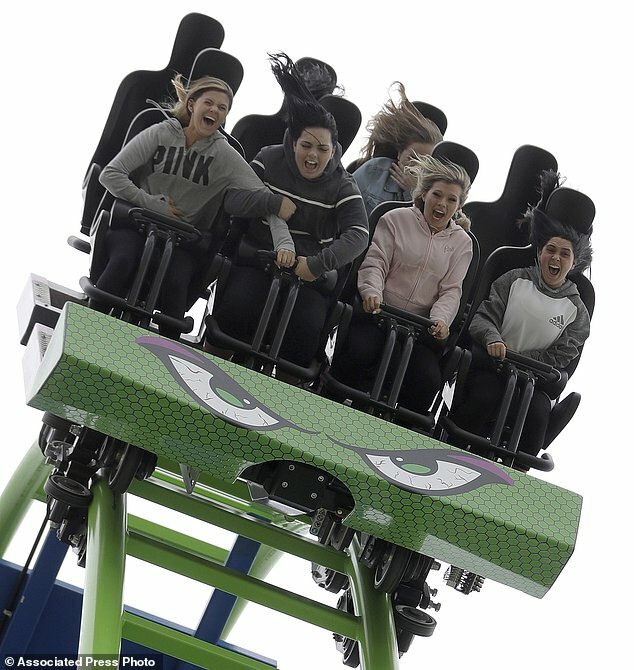 It's not only thrilling riders; it's also raising spirits in a section of the Jersey shore where not everything is yet back to normal after the October 2012 storm. 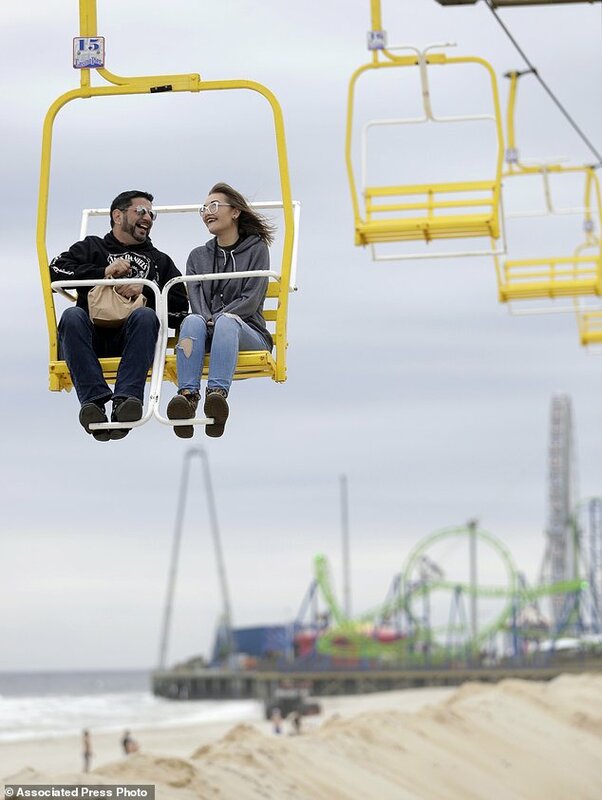 "This is part of the rebirth of the town," said Mayor Anthony Vaz, who was among the many Seaside Heights residents displaced from their homes by the storm. "It's like a new start for us." 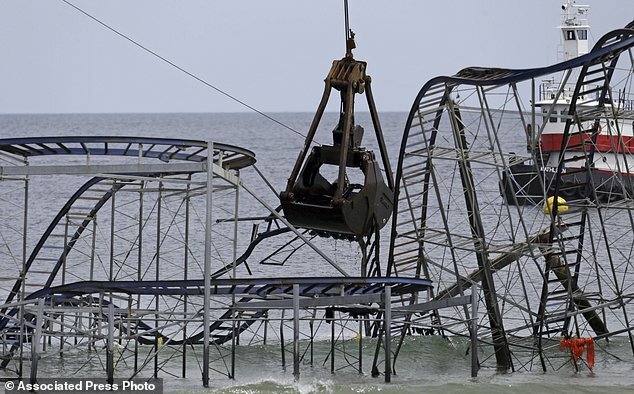 Seeing the Jet Star rusting away in the surf was painful, the mayor said. 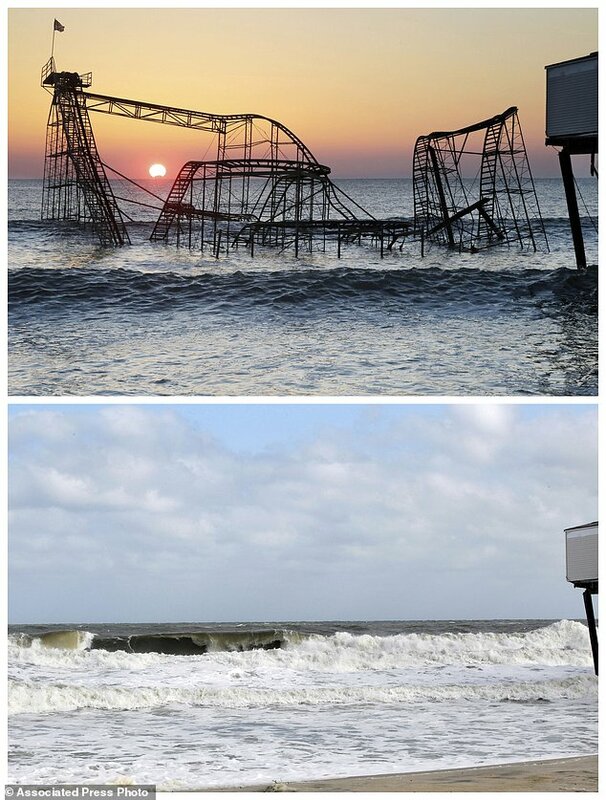 "It went from icon to eyesore," he said. 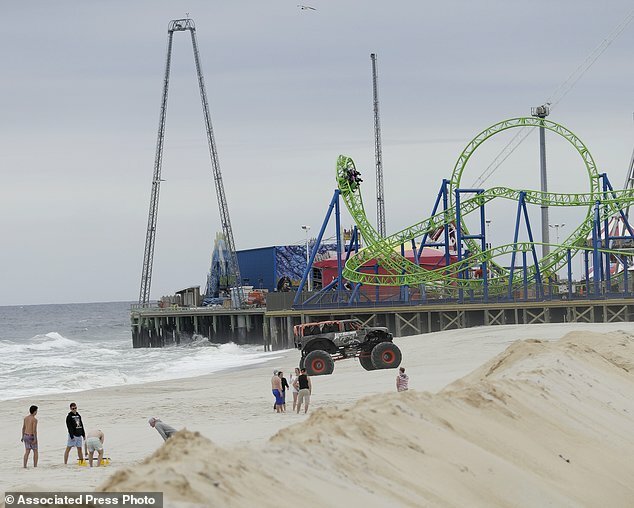 Vaz estimated the resort town made infamous by the MTV reality show "Jersey Shore" has made a 70 percent recovery from Sandy. The borough's taxable property is still worth about $200 million less than it was before the storm. 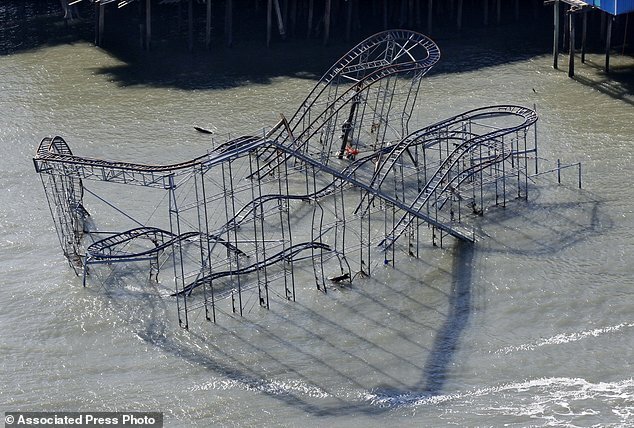 "Our team at Casino Pier has worked extremely hard since Hurricane Sandy in 2012 to rebuild and come back from the devastation," she said. 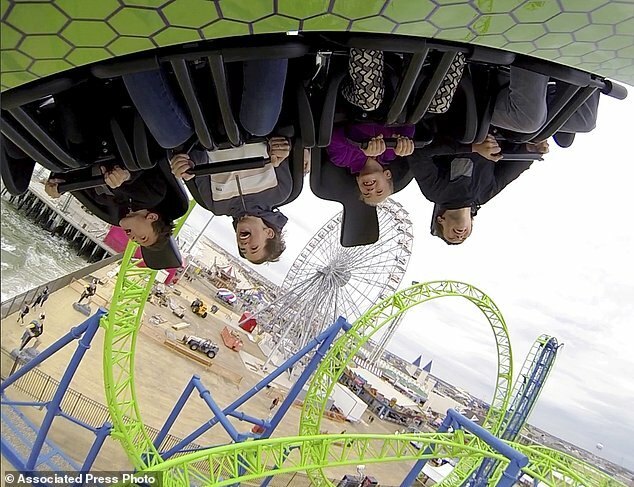 "With our brand new roller coaster Hydrus, and Ferris wheel on our brand new extended pier, we can finally close the book on Sandy and start fresh." 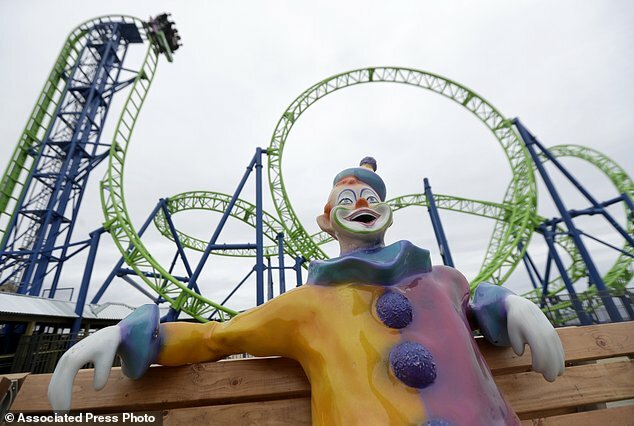 Mastoris would not say how much the ride cost to build other than to say "millions." "It was awesome!" exclaimed Alison Cornell of Belvidere, New Jersey. "It looked like you were going right in to the ocean. It was exhilarating. You get a 360-degree view of the whole area around it. It was really exciting."